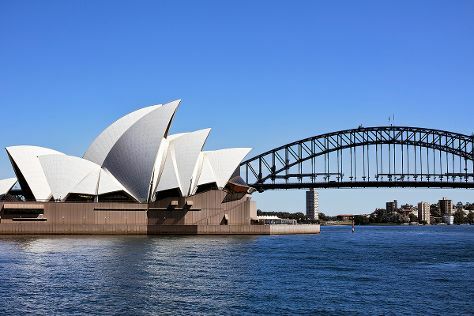 Start off your visit on the 17th (Wed): enjoy the sand and surf at Bondi Beach, then hike along The Opera House to the Botanic Gardens Walk, then make a trip to Sydney Opera House, and finally get to know the fascinating history of The Rocks. To find reviews, maps, traveler tips, and more tourist information, refer to the Sydney road trip planner . If you are flying in from United Kingdom, the closest major airport is Sydney Kingsford Smith International Airport. In July, daytime highs in Sydney are 21°C, while nighttime lows are 9°C. Wrap up your sightseeing on the 18th (Thu) early enough to travel to Brisbane. On the 18th (Thu), explore the world behind art at Queensland Art Gallery, enjoy the sand and surf at Shorncliffe Beach, and then soothe aching muscles at some of the top local wellness centers. 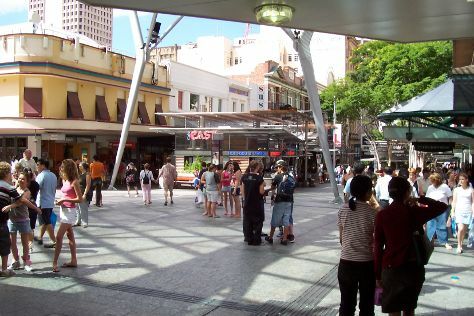 On the 19th (Fri), you'll have a packed day of sightseeing: take a stroll through West End, contemplate in the serene atmosphere at Old St Stephen's Catholic Church (Pugin Chapel), and then wander the streets of Queen Street Mall. To see more things to do, other places to visit, traveler tips, and more tourist information, read Brisbane trip itinerary maker site . Traveling by flight from Sydney to Brisbane takes 4 hours. Alternatively, you can do a combination of flight and bus; or drive. In July, plan for daily highs up to 24°C, and evening lows to 11°C. Finish your sightseeing early on the 20th (Sat) to allow enough time to travel to Hervey Bay. With the largest population in the Fraser Coast Region, Hervey Bay is a hub of activity. Start off your visit on the 20th (Sat): get up close to creatures of the deep with a dolphin and whale watching tour and then visit the horses at Susan River Homestead Adventure Resort. Keep things going the next day: enjoy the sand and surf at Burrum Heads Beach, then take an in-depth tour of Brennan and Geraghty's Store Museum, and then let the kids burn off some steam at Queens Park. To find more things to do, maps, and more tourist information, refer to the Hervey Bay trip itinerary maker site . Getting from Brisbane to Hervey Bay by flight takes about 3 hours. Other options: drive; or take a train. In July, daytime highs in Hervey Bay are 26°C, while nighttime lows are 11°C. Cap off your sightseeing on the 22nd (Mon) early enough to travel to Fraser Island. On the 22nd (Mon), contemplate the waterfront views at Eli Creek. Here are some ideas for day two: delve into the lush surroundings at Central Station Rainforest and then contemplate the waterfront views at Lake Birrabeen. To plan Fraser Island vacation without wasting time, ask Inspirock to design an itinerary. Traveling by combination of car and ferry from Hervey Bay to Fraser Island takes 4.5 hours. In July in Fraser Island, expect temperatures between 26°C during the day and 11°C at night. Cap off your sightseeing on the 23rd (Tue) early enough to travel to Airlie Beach. Escape the urban bustle at Kayaking & Canoeing and Scuba & Snorkeling. Bowen Historical Society and Museum and Proserpine Museum are good opportunities to explore the local culture. Get out of town with these interesting Airlie Beach side-trips: Bowen (Horseshoe Bay & Horseshoe Bay Rotary Lookout). Spend the 26th (Fri) wandering through the wild on a nature and wildlife tour. And it doesn't end there: take a tour by water with Boat Tours & Water Sports, contemplate the waterfront views at Heart Reef, take in the exciting artwork at Art Whitsunday Gallery & Shop, and take in the pleasant sights at Bicentennial Walkway. To find where to stay, maps, photos, and other tourist information, refer to the Airlie Beach online day trip planner . Traveling by combination of car and ferry from Fraser Island to Airlie Beach takes 16.5 hours. Alternatively, you can do a combination of car, ferry, and bus. Traveling from Fraser Island in July, expect somewhat warmer with lows of 20°C in Airlie Beach. On the 30th (Tue), you'll have the morning to explore before heading back home.